Sorry I have to rush today... Have a great Tuesday! I simply removed the front of the plain book and re-covered with this map paper (SU retired) and added a little tag... 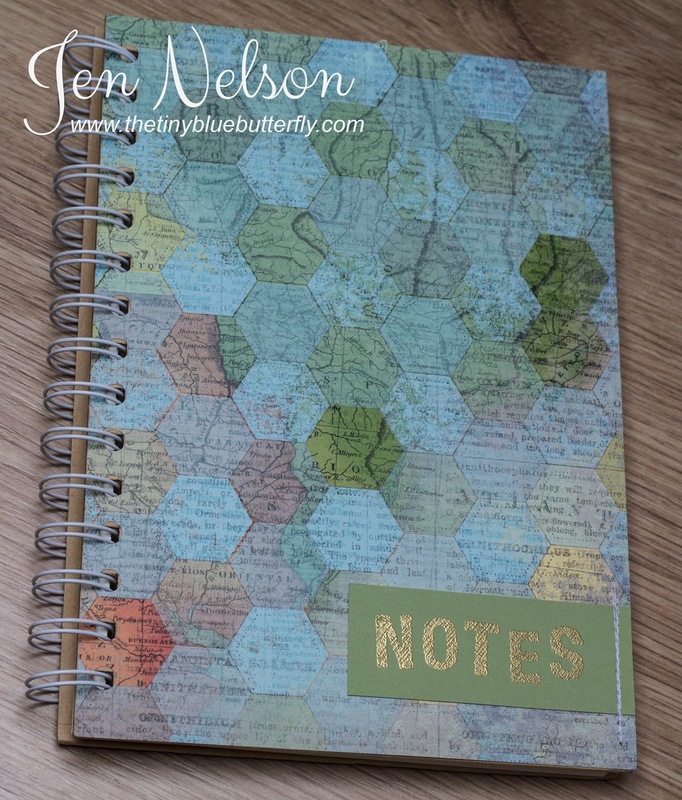 It was really quick and easy and far more fun than a plain note book! 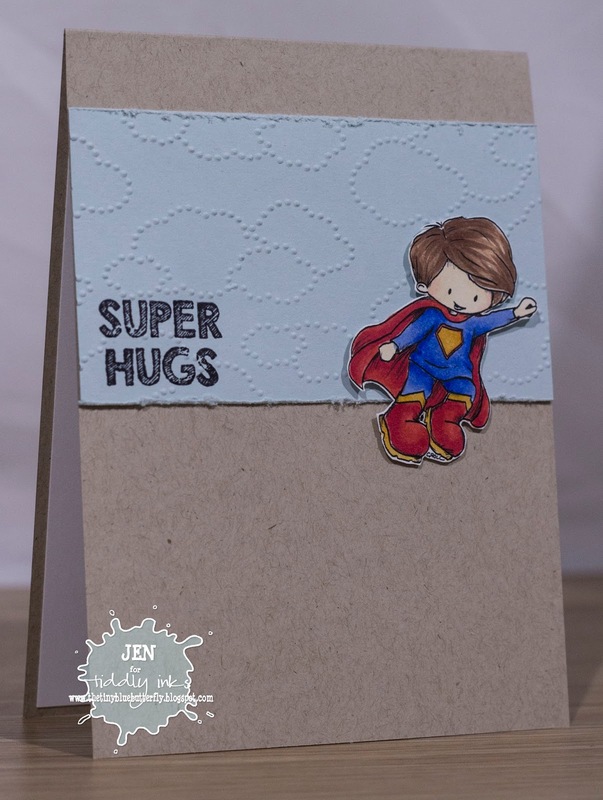 I'm hoping to get some cards made this afternoon to show you this week whilst I'm away.. but we will see how my mojo is.. been pretty much non-existent recently! Hope you have a great Sunday and for all those UK mums out there a fab Mother's day! Morning... 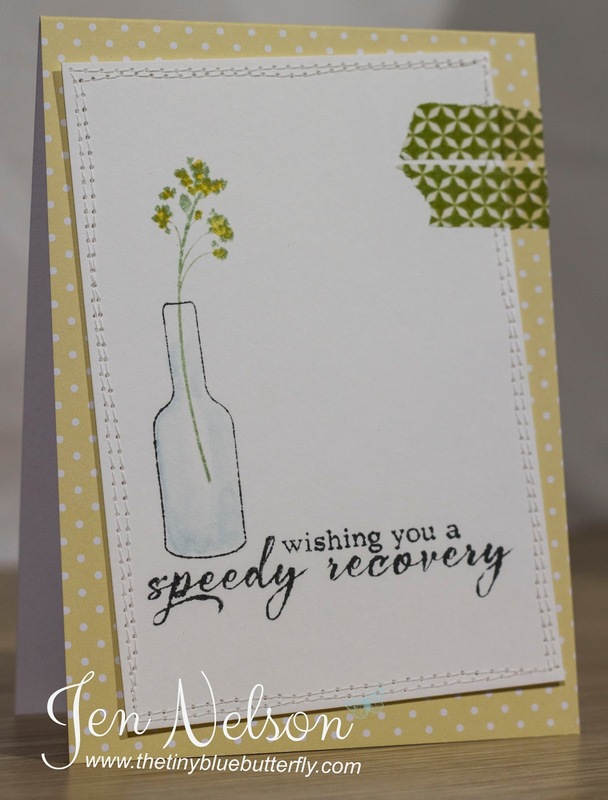 It's finally release day at Clearly Besotted and I have one last teaser for you today... It's been a pleasure to be able to share my creations with you this month and I hope you are looking forward to 10pm tonight! Today I have used the "On Your Day" stamps and matching dies... and I seem to have a thing for spotty paper this week too!! I think this set is a favourite this month, and the flower is also perfect for last minute Mother's day cards too! Morning, see told you I would be back.... 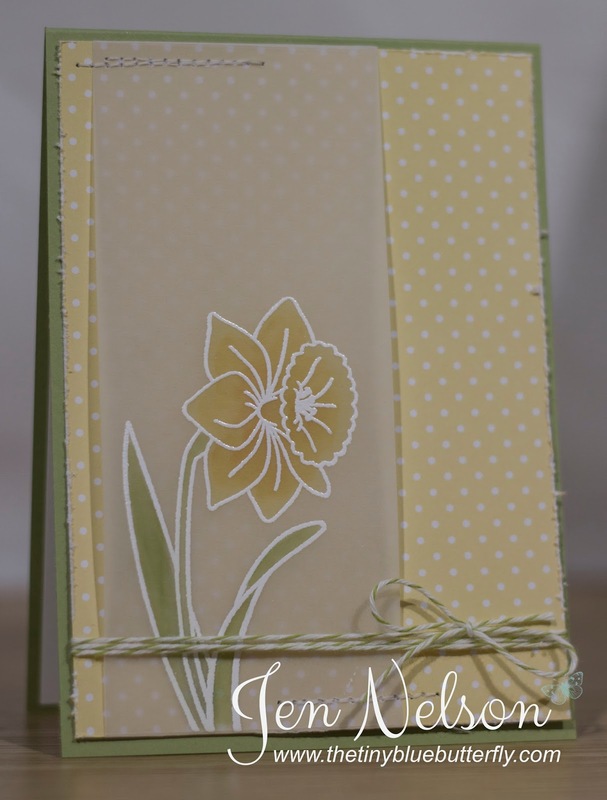 I have another teaser for you today using the stunning daffodil from the "Just Darling" set... simply white heat embossed onto vellum and added a touch of colour from behind using copics! 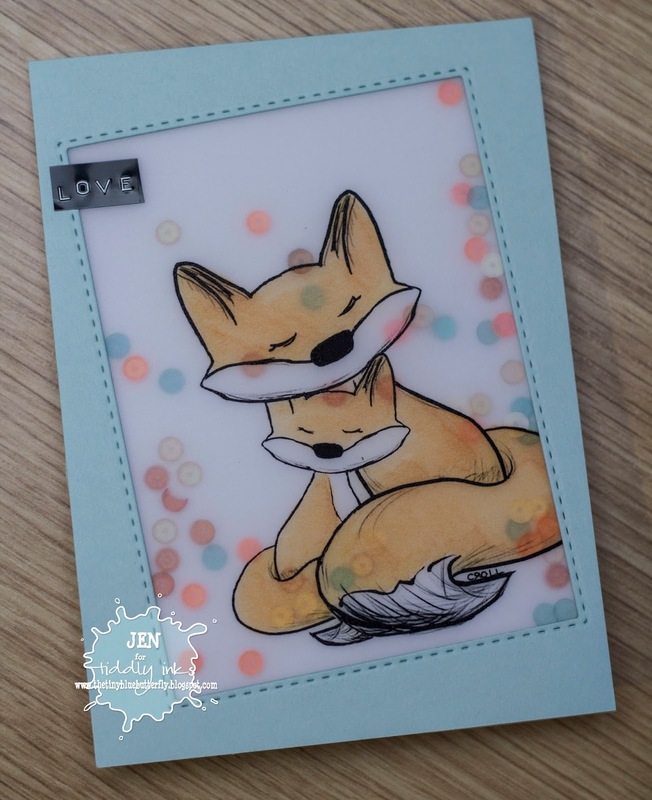 I realised I completely forgot to add the sentiment tag before I took the photos, oh well... been one of those months already! 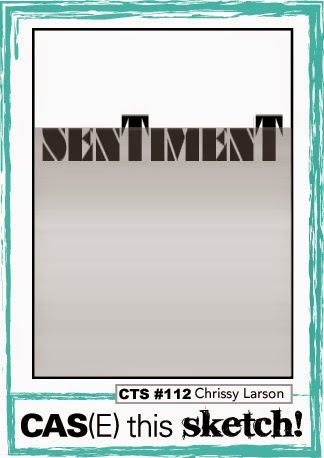 I'll be back in a moment with another teaser from CBS... 2 cards in one day! Morning.. 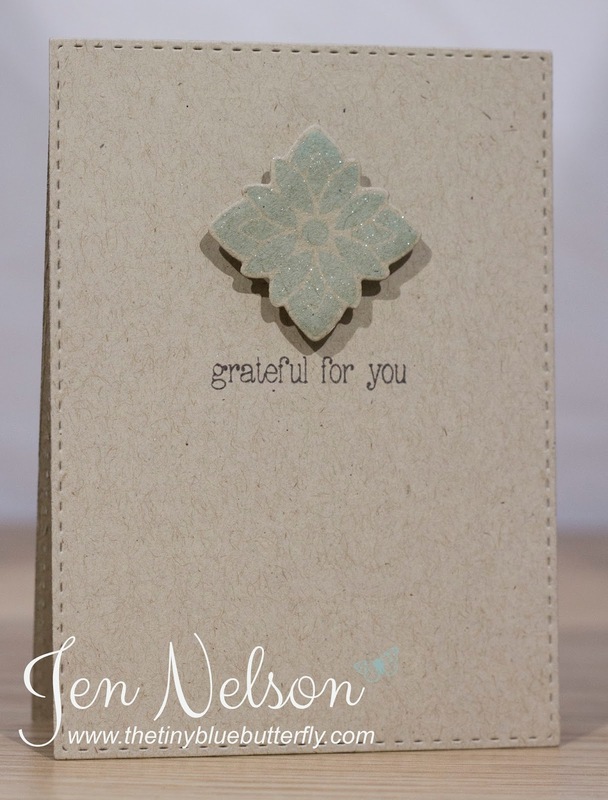 It's day 2 of teasers at Clearly Besotted and today I have a really quick card using the "Flower Blocks" set... 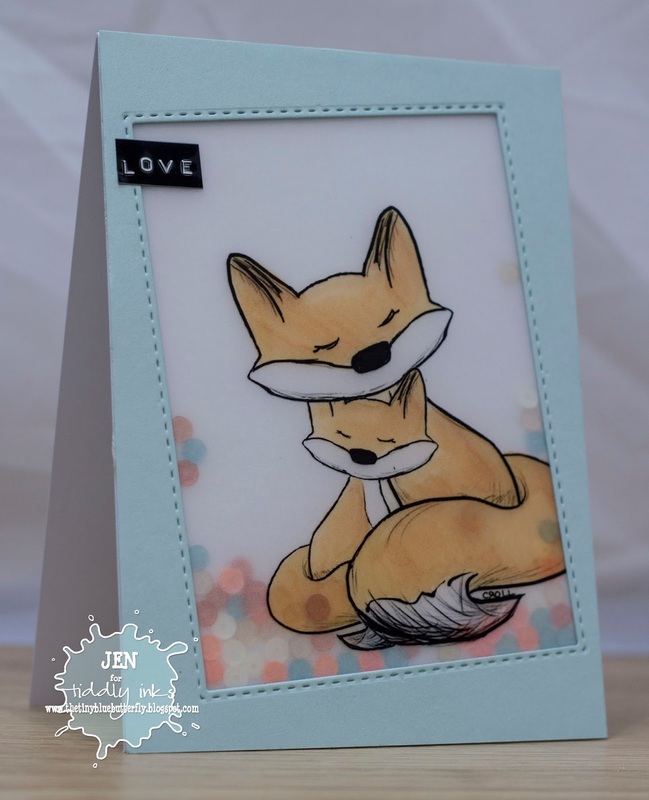 I have made a tiny card using stitched dies to make the base. 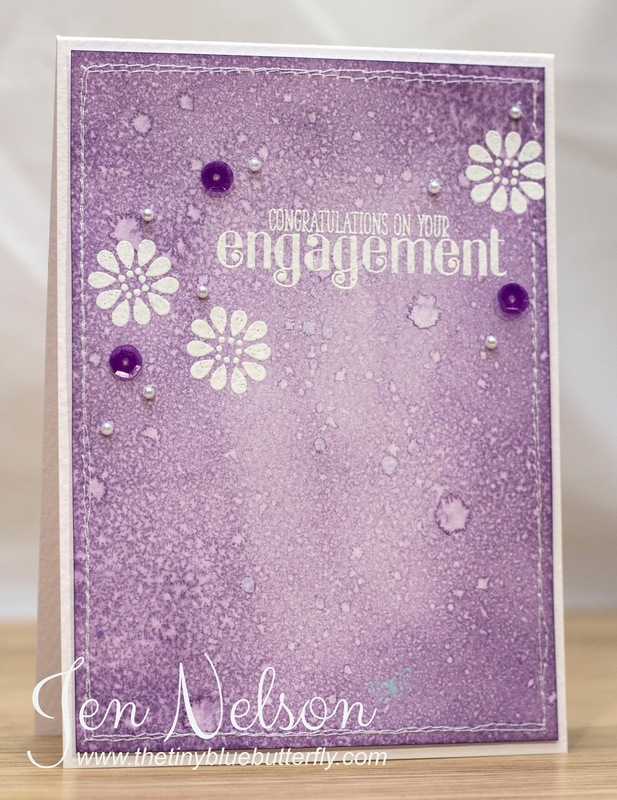 I simply stamped onto crumbcake card stock the solid flower block with shadow ink, used the matching die to cut it out and then smothered it in wink of stella... Simples.. Morning.. remember me? Sorry I had to take a little hiatus due to work commitments and the fact I wasn't in the country to craft at all :-( I need to find something I can take with me easily on my travels!.. 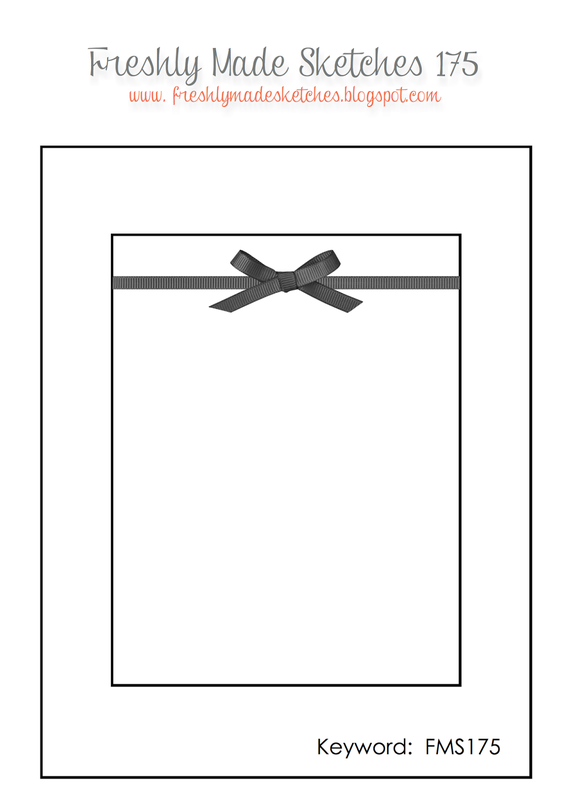 My plan for today is to spend the whole day crafting of some description, so in the next couple of weeks I'll have something different to show you! I'll be back tomorrow.. Have a great Sunday!